Ascension Day is the 39th day after Easter. 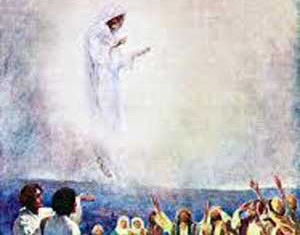 It marks the final day when Christ actually ascends to heaven after remaining on Earth for 39 days. To celebrate there may be processions with torches and banners and fruits and vegetables to be blessed by the church. It honors that Jesus actually went to heaven. Traditionally this day was celebrated first in 68 AD, yet the first written evidence of a celebration occurred 385 AD. It is mainly a Catholic holiday.